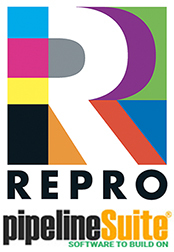 REPRO’s new website is designed to serve all your print related needs at www.reprovt.com. To place an order or get help with a new project, enter our online Customer Service Center. To download useful software and find helpful information, search our Resources & Support area. To learn more about us, browse through our Company Information section. An easy-to-use pulldown menu, search engine, and link to our contact form appear on each page. As well, feel free to consult the site map at any time if you're having trouble locating a particular item. Our experienced, knowledgeable, and friendly staff is empowered with a whatever it takes attitude to satisfy you - our customer. Our aggressive competitive pricing ensures that you are receiving the best value for the price you pay. 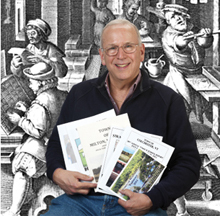 REPRO is the right choice for your next print project. Call Mary Dearborn at x23 or email mary@reprovt.com for a fast, accurate quote. · Live beneath your means. · Return everything you borrow. · Stop blaming other people. · Admit it when you make a mistake. · Do something nice and try not to get caught. · Listen more, talk less. · Every day take a 30 minute walk. · Strive for excellence, not perfection. · Be on time. Dot make excuses. · Be kind to unkind people. · Let someone cut ahead of you in line. · Take time to be alone. · Realize and accept that life isn’t fair. · Know when to keep your mouth shut. · Go an entire day without criticizing anyone. · Learn from the past, plan for the future. · Live in the present. · Don’t sweat the small stuff. There is only one valid definition of a business purpose – to create a customer. Our customers are the foundation of our business and keeps it in existence. For our plan room please click on logo below. For more information about plan room contact hayes@reprovt.com. Did you know... The initial print run of J.K. Rowling's "Harry Potter and the Deathly Hallows" broke a printing industry record? As a pop-culture phenomenon, all of the books in the "Harry Potter" series had initial print runs in the millions. But, "Deathly Hallows" greatly outnumbered the others, with 12 million copies in its first print run, making it the largest initial print run ever recorded.